As one of the regular audience in a forum on Mr Cu subject, Chinh Khi Viet would have no time for an odd discussion. But as a director of HRW organization, Brad Adams's ideas on the subject need an alarming answer. 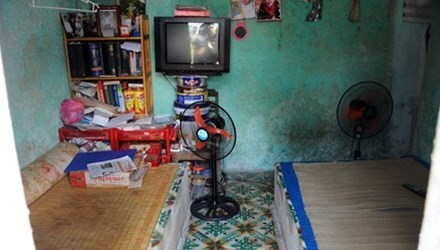 The Human Rights Watch is just a non-governmental organization, but its voices have a certain political weigh; particular on Vietnamese who got no truthful information from propagandas of immoral, foreign-viewing writers. a) "A main activist of Vietnam who always called for a peaceful political reform of the regime in Vietnam and he was forced to leave his country now" (sic). Advertiser Brad Adams, please show proof of whom that Mr Cu was recognized as a "main" activist. Keep in mind that there are three ways of political view-points: First one from the communist clan, second one from fake political groups, organizations and individuals, and third one from most people who are being ruled by the communists such as workers, farmers, small businessmen, small land owners, oversea slaved-labors, unemployed labors, disable Republic of Vietnam soldiers and its people, former officers and officials; also families in North Vietnam who have been victims of the communist land reform, cultural and ideal revolution, private industrial and commercial business reform, faith discrimination and families of un-suitable to socialist category...! Hence from who of them and what survey had done recognition of Mr Cu as a "main" activist; please show them! b) And Brad Adams needs to show Mr Cu's achievements that "Vietnam is going to need individuals like Mr Ha Vu whose efforts will bring a honorable human rights society. Now in exile status, he and his family as well as his whole country were treated unfairly; for he did not do anything wrong" (sic). Saying of bringing such a honorable human rights society, how could a man as Mr Cu's personality able to bring as Brad Adams's understanding?? 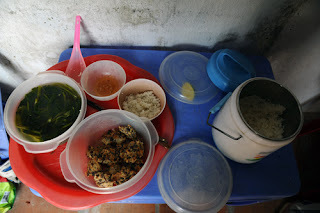 What Mr Cu did and currently is doing before he came to the US for his heart disease treatment are not different than Hoang Minh Chinh's trip to the US for his prostate treatment. There is not a tiny of Mr Cu's activity for human rights in Vietnam. For example, when applying for the governmental position of Cultural Minister, he suggested changes such as a new national name without words "Socialist", grand pardons for former officers and officials of Republic of Vietnam and lawsuit to Nguyen Tan Dung for Bauxite matter (but ignored other much more important issues). Meanwhile, he continued to praise great criminal Ho Chi Minh and his clan who are un-patriots and murderers. Mr Cu spent all day for drawings of top communists, one by one but no drawing on Vietnam as painters like Nam Son, Bui Xuan Phai, Hoang Lap Ngon, Tran Dong Luong, Nguyen Sang ...?!! He was busied to visit and taking smiling pictures with Do Muoi, Le Kha Phieu, Nong Duc Manh, Le Duc Anh, Vo Nguyen Giap ... Keep in mind that all of Mr Cu's idols are criminals who violated human rights of Vietnamese people with their national policies and deadly plans from their regime birthday until now 2014. Mr Cu has always been proud of his biological father Cu Huy Can and his foster parent Xuan Dieu who had active involved to deadly movement against Vietnamese farmers and business people. His father Cu Huy Can during a trip to Hue for retrieval of Bao Dao's sword and dynasty seal had helped his comrade Tran Huy Lieu to kill scholar Pham Quynh and his son Pham Giao. 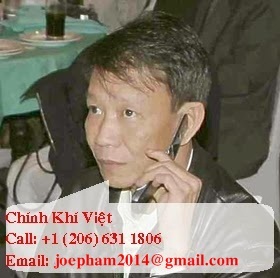 Tran Huy Lieu, a married man had waited for this opportunity to seize Pham Giao's wife at gunpoint. 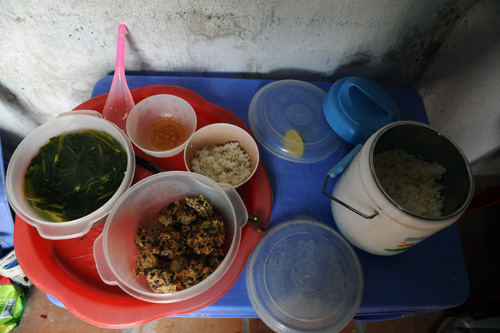 Cu Huy Can had witnessed the crime but gave its happening; let alone his intervention to prevent it. Cu Huy Can also collaborated with this comrades in dyeing all intellectuals, writers and entertainers into different red colored slaves. 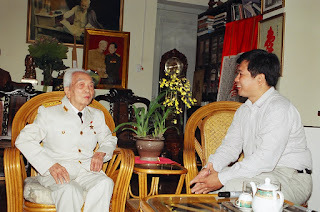 Mr Vu Cu has certainly known his father crime against human rights of Vietnamese people during the so-called August Revolution until his death. With his pride of his father's crimes, how should Mr Cu able to bring human rights for Vietnamese people? During feudal system, a king of Le dynasty claimed he was innocent of "Le Chi Vien" lawsuit. He meant that he was never done anything wrong like his predecessors. There is nothing for Mr Cu to learn from that lesson or he doesn't know history of Vietnam because of a Sorbonne graduation! Moreover, he has had disputes on his share of Cu Huy Can's inheritance and made oppression on his paternal younger sister. With his such harshness on his own sibling, how a citizen of Vietnam should be treated as a free human being instead of a red slave by him, his father and their leaders!? 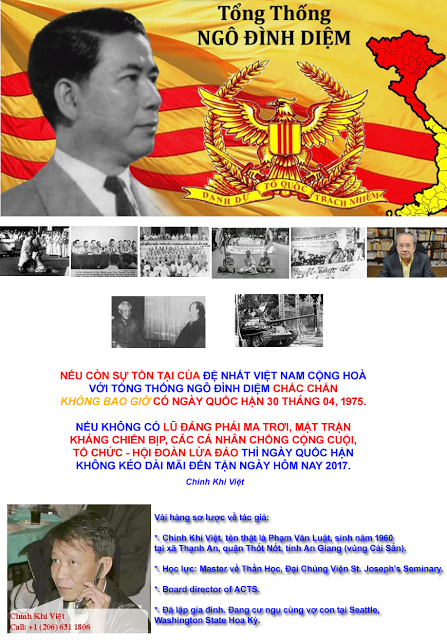 c) His request for governmental position of Cultural Minister after graduation from Sorbonne came from his demand as a son of great communist Cu Huy Can; as well as other sons of Nong Duc Manh, Nguyen Van An, Vo Van Kiet, Nguyen Tan Dung, Nguyen Van Chi, Nguyen Ba Thanh, Le Duc Anh, Le Thanh Hai ... ! It is a desire of Vietnamese people from him; isn't it? But who needs him? 2/ Furthermore, Brad Adams had also exaggerative spoken of Mr Cu that "He has had overwhelming public supports. 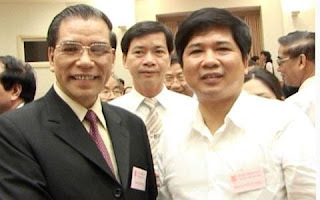 I think that had Vietnam a free country, people should imagined him as a national leader or a successful candidate instead of a criminal with such a bad treatment just because of his different political view. Likewise, it should be a bad day for Vietnam when one of such talented individuals had been forced to leave the country" (sic). a) Brad Adams finally seems to confess that he has no ability to distinguish between his and his communist clan political views which are in fact the same one! Mr Cu and his communist clan both have praised great criminal Ho Chi Minh and Ho's guidance to follow and practice his way until now 2014. Had Mr Cu offered to choose diplomatic relationship with the US, he would have repeated great criminal Ho's procedure of using excerpts from the US constitution for his own one. That means, they are the same on political view but solely in difference of practices. Their ultimate allegation is much effective for their forever communist existence; his father and son Cu family included! At the same time, Mr Cu's wife had already been in the US and was driven somewhere by Nguyen Tuong Tam, informant inmate who has been Viet Tan's political party member; possibly to find residence for the couple and ... in advance before Mr Cu's arrival. It was a careful arrangement in details instead of a sudden scenario as reports. The play of forcing Mr Cu directly to the airport from his prison was just an advertisement as Brad Adams had made!! 1/ Brad Adams did have a right to show his ideas. Chinh Khi Viet respects his right. Meanwhile, he has had no right to say as a "director of Human Rights Watch - Asia Services" to advertise for Mr Cu. 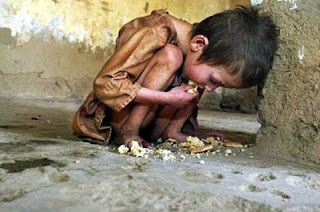 It was contradicted to Human Rights Watch policy! 2/ Brad Adams also had no right to falsely claim his own viewpoint on Vietnam. 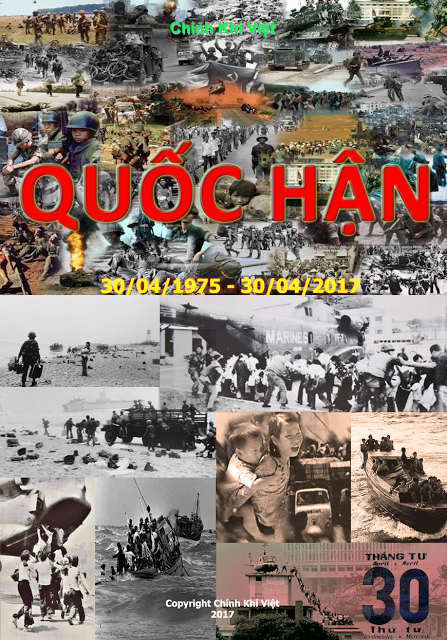 His shameful worst phrase on Mr Cu's departure was "a bad day for Vietnam" (sic)!? 3/ Had Brad Adams lived in North Vietnam before 1975 as a Vietnamese, his talent should be able to replace To Huu. That means Mr Brad Adams's talent had been a head higher than Cu Huy Can and Xuan Dieu, biological father and foster parent of Mr Cu! Căn cứ vào lời dịch ý kiến của Brad Adams trong bài nêu trên, Chính Khí Việt xin được chia sẻ với quý bạn đọc về nhận xét của mình. 2/ Chưa hết, Brad Adams còn nói văng miểng rằng: “ông ấy đã có sự ủng hộ đông đảo và rộng rãi trong quần chúng, tôi nghĩ nếu Việt Nam là một nước tự do, người ta có thể tưởng tượng ông ấy có thể trở thành một nhà lãnh đạo hay một ứng viên tranh cử thành công, thay vì là bị ứng xử và bị coi là một tội phạm, chỉ vì ông ấy có một quan điểm chính trị khác biệt.